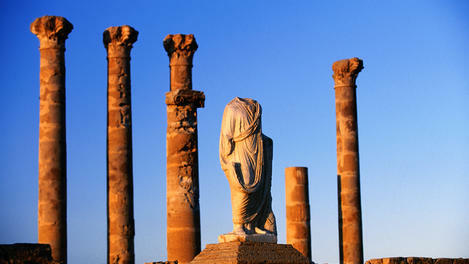 Will Gadhafi’s death reopen Libya to tourism? While President Obama acknowledged that the North African country “will travel a long and winding road to democracy” after Moammar Gadhafi’s killing on Thursday, the end to the dictator’s iron-fisted, 42-year rule could signal a revival of Libya’s on-again, off-again tourism industry.Commercial advertising is banned in Libya but multiple images of Col. Moammar Gadhafi are found in every town. Italian, British and German tourists have been long been drawn to its well-preserved (and uncrowded) Greek and Roman ruins and Saharan landscapes, but Libya has remained “terra incognita” for most American globetrotters. After an initial flurry of interest after a U.S. travel ban was lifted in 2004, a morass of diplomatic red tape scuttled further tours until a new trade agreement took effect last May. Now, as Libyans celebrate his demise, at least one company is already advertising a three-day, 295-euro tour of “post-war Libya” on its website, featuring visits to Tripoli and the Roman ruins of Leptis Magna. A handful of U.S. tour operators and cruise lines that had resumed trips to Libya scuttled them when civil war broke out last winter. San Francisco-based adventure tour operator Geographic Expeditions cancelled its April 4 departure to Libya, and now “I think it’s going to take a while to shake things out,” says spokesman John Sugnet. A related case in point: “When president Bush declared victory in Iraq, people were clamoring to go,” recalls Sugnet. But it took until 2010 for the company to feel comfortable offering a trip to Northern Iraq/Kurdistan, a journey that was also offered this year. ADDIS ABABA, Ethiopia – Ethiopian Airlines is proud to announce that effective October 13, 2011 it has commenced direct international flights from Mekele and BahirDar to Khartoum. The new direct flights will enhance tourism and business travel between Northern Ethiopia and the Sudan thereby strengthening the existing cooperation between the people and governments of the two countries. 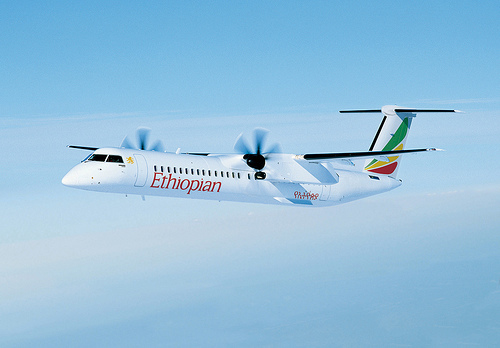 Ethiopian will provide the new flight services four days a week on Tuesdays, Thursdays Saturdays and Sundays using Bombardier Q-400 Aircraft. You are currently browsing the TOURIST LIFE TRAVEL & TOUR blog archives for October, 2011.